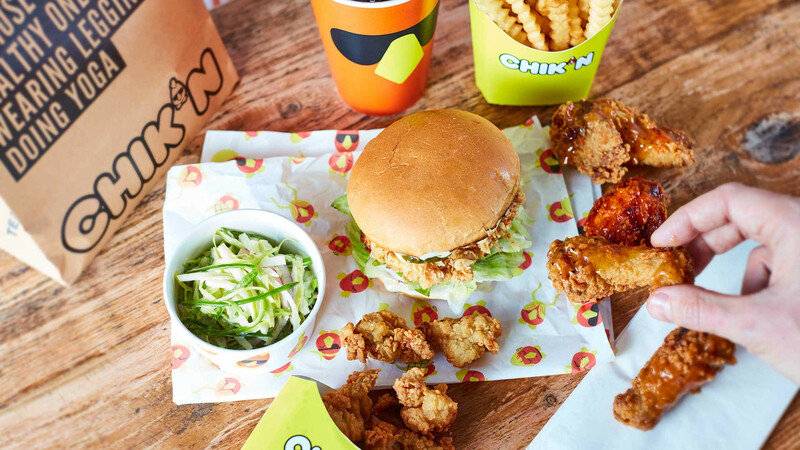 This posh chicken shop from the people behind ethical fried-chicken restaurants Chick 'n' Sours might dine to the beat of fast-casual, but on the subject of sustainability and animal welfare, it's anything but laidback. Carl Clarke and David Wolanski. 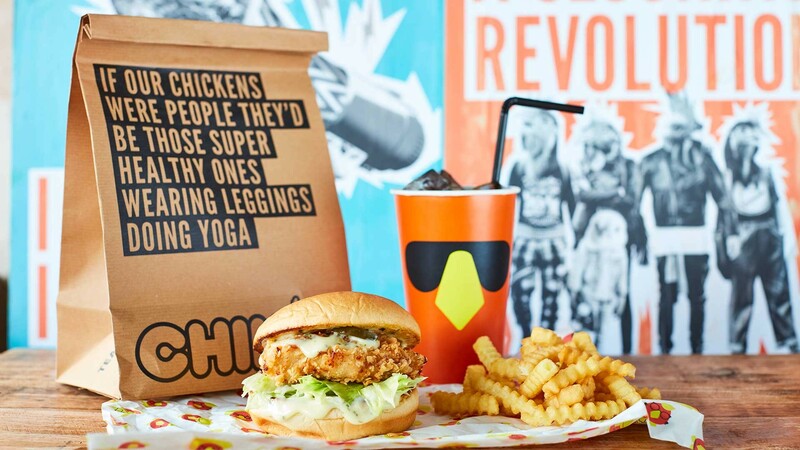 The pair met at Latitude Festival in 2010 and decided to ruffle the feathers of the UK's fried chicken industry with their first Chick 'n' Sours back in 2015. 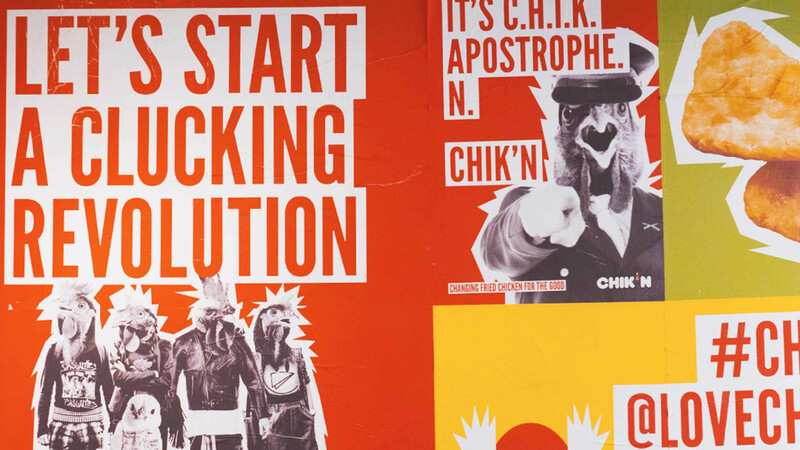 Two years later, the concept of a "guilt-free", affordable chicken shop was hatched. 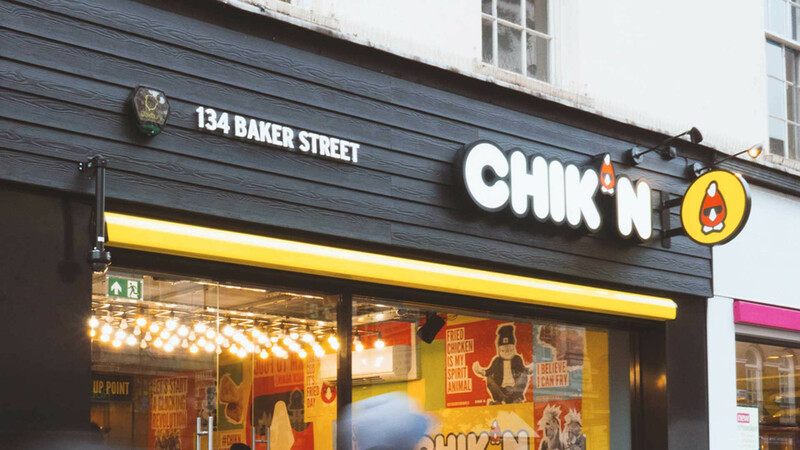 CHIK'N, much like its sister restaurants, extols the virtues of free-range, high-welfare chickens from a single Somerset farm with whom the team has a very close relationship. 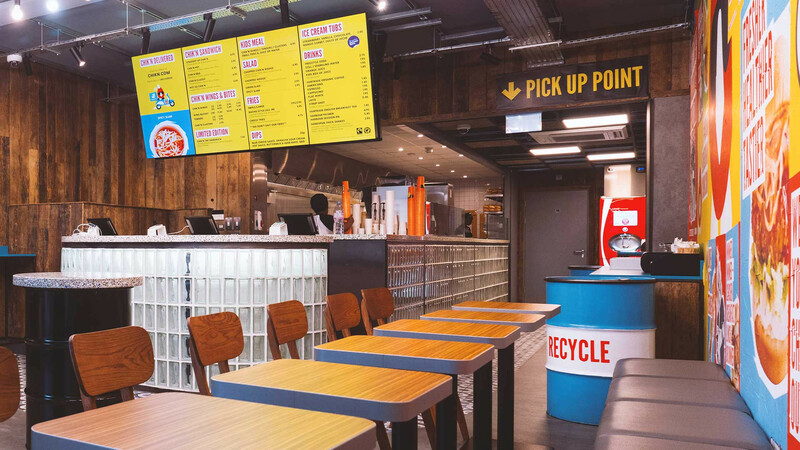 Staff are paid more than London Living Wage and it has installed an on-site biodigester that's so far processed more than 7,000kg of food waste, with all used cooking oil collected and recycled into biofuels. 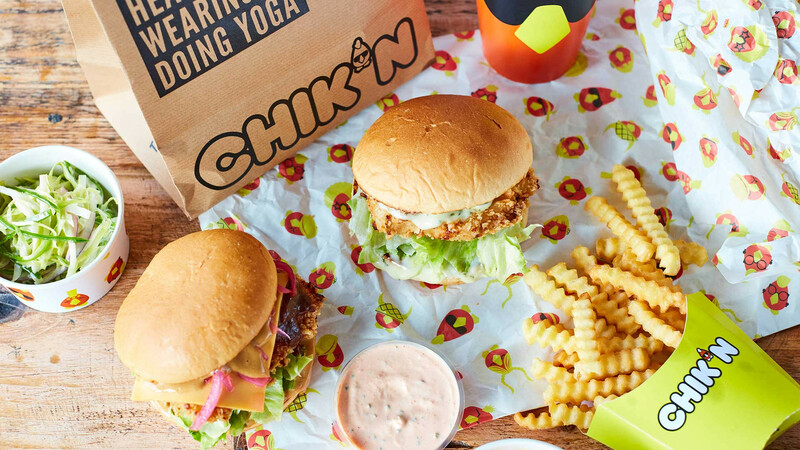 Whether you want a buttermilk-brined chicken sarnie with a side of loaded, Sri Lankan-inspired fries; a box of crunchy chicken tenders washed down with a cool can of craft beer; or even a hangover-busting free-range egg and sausage sourdough muffin, CHIK'N has you covered. Oh, and it caters to veggies, too, with soy-pickled shiitake buns taking the place of that crunchy fried chicken.